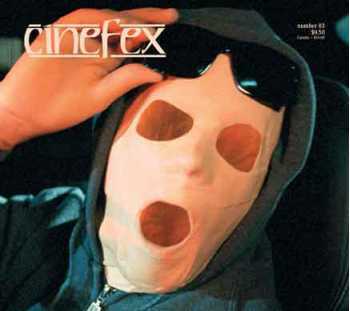 To depict the invisible protagonist at the heart of Hollow Man, veteran director Paul Verhoeven engaged Sony Pictures Imageworks and senior visual effects supervisor Scott Anderson to pull out all the stops, duplicating actor Kevin Bacon's physiology and live performance with a digital replica capable of revealing the character's anatomy from the inside out. Also assuming a sizable share of the workload was Tippett Studio, under visual effects supervisor Craig Hayes. Rounding out the effort were practical effects by Stan Parks and makeup by Amalgamated Dynamics Incorporated. Plagued by budget and time constraints, plus a burgeoning effects slate, visual effects supervisor Michael L. Fink overcame the odds on X-Men, a fantasy based on the enduring Marvel comic books. To handle the film's array of mutant characters - all exhibiting singular mental or physical powers that distinguish them from ordinary humans - Fink divided the work among some nine visual effects companies, assigning each a particular character or type of effect. Other key contributors were physical effects coordinator Colin Chilvers and makeup effects supervisor Gordon Smith.